Slimamif has extended Latin, Greek and Cyrillic character sets and can be used for Russian, Ukrainian, Belorussian, Latvian and virtually all other European languages and more that 70 ethnic languages of Russian Federation. It has new Ruble sign and other special characters that are used on the web. Stylistically it's thin, light font, somewhat between handwritten and Art Nouveau. 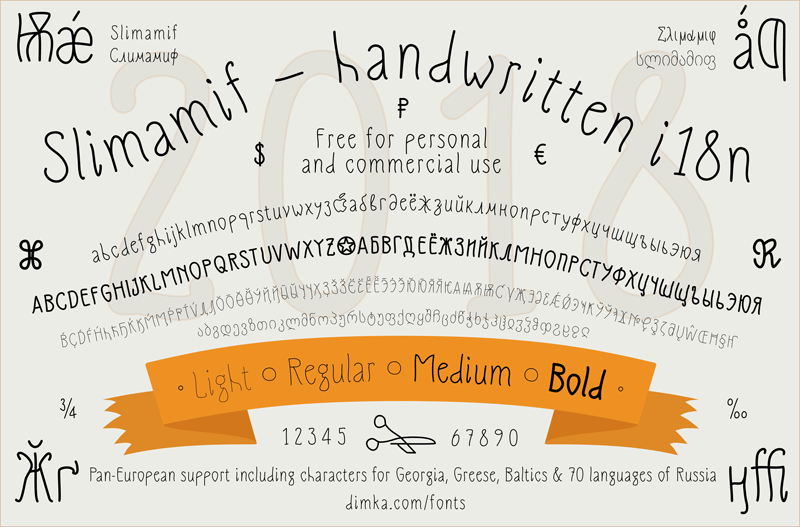 Slimamif was designed by Dmitri Zdorov in 2016 and updated often. It's free for personal and commercial use. Attribution is not required by welcome.